A mouth full of metal isn’t exactly an appealing alternative to crooked, misaligned teeth. You can say no to both! 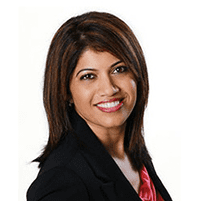 Kavitha Gowda, DDS, the general and cosmetic dentist at Perfect Smiles Dentistry in Everett, Washington, offers Invisalign® teeth alignment treatment. If you want a beautiful smile without the hassle of braces, call Perfect Smiles Dentistry or book an appointment online today. For major alignment and orthodontic issues, a different treatment may be recommended by Dr. Gowda. To see whether Invisalign is the best option for you, visit Perfect Smiles Dentistry for a consultation. What can I expect from Invisalign treatment? Dr. Gowda will start by examining your teeth to check that Invisalign is the right choice for you. To fully examine your teeth, Dr. Gowda will need to either create a physical impression of them or digitally scan them into 3-D images. This helps Dr. Gowda develop a precise treatment plan. Then Dr. Gowda customizes clear, plastic aligners that fit your teeth. While you wear them, the aligners gradually push your teeth where they are supposed to go. To keep your teeth moving in the right direction, Dr. Gowda will occasionally make your new aligners. This process continues until your smile is just right. Talk to Dr. Gowda if you want to straighten your teeth without painful, unsightly braces by calling Perfect Smiles Dentistry or booking an appointment online today.